Dude, it has been a long couple of weeks. Between travel with work, work and well, more work, I am utterly exhausted. Do you know what the problem is with NO TIME, NO RECIPES. Argh, so sad. WAIT, WAIT JUST ONE MINUTE - I think I have something for you! Back in December it was my besties birthday. I make a sweet pretty much every week, so this one had to be EXTRA SPECIAL. 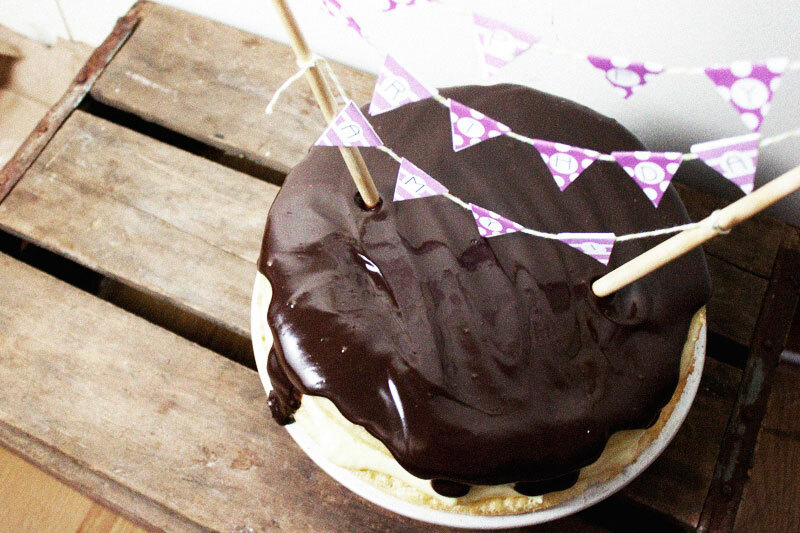 I needed to make a cake, but not only a cake, something that would be special to her, enter Boston Cream Pie Cake. I have told you in the past, I dislike making full cakes or pies, no sampling before you serve them, what kind of crap is that! Anywhoozer, I had to do it, it was for Amy after-all. And look at the mama above, she is pretty legit, and well worth all the work. I turned to the master, the one, the leader for the inspiration, Martha Stewart- she can do no wrong in my eyes. Here's her original post, but check out below for the step by step and a few small changes. 2 / In a medium bowl, whisk together flour, baking powder, and salt; set aside. 3 / In the bowl of an electric mixer fitted with the whisk attachment, whisk eggs and egg yolks on medium speed for 1 minute. Gradually add sugar, and continue beating until light and fluffy, about 3 minutes. 4 / Heat milk and butter until hot in a small saucepan over medium heat. Do not to boil the milk! Remove from heat, and stir in vanilla. 5 / With mixer still running, slowly add hot milk to egg mixture. 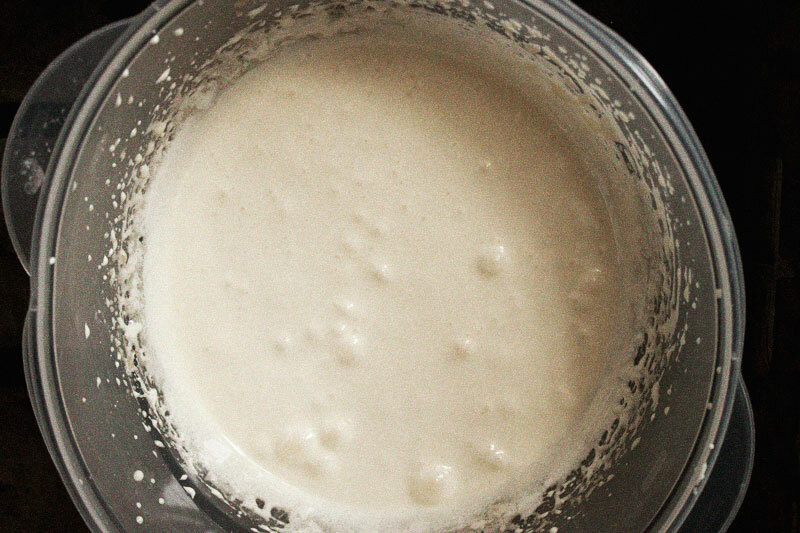 Gradually add flour mixture, ¼ cup at a time, mixing until incorporated. 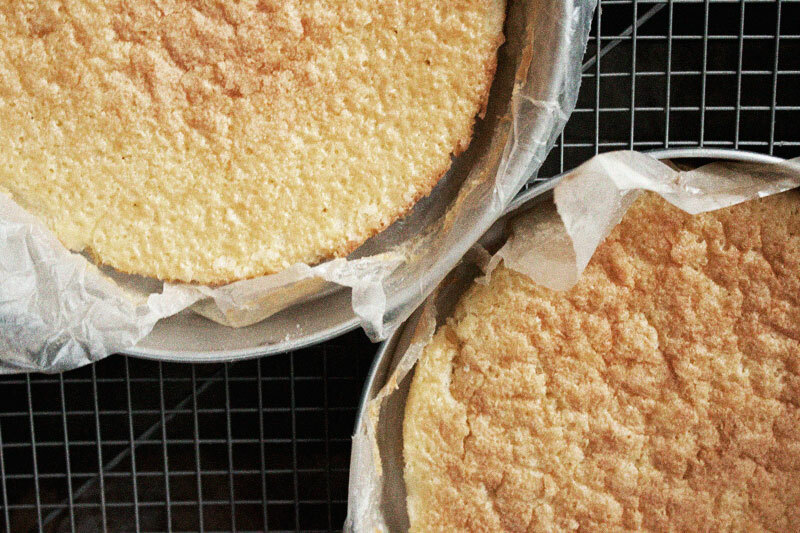 6 / Evenly divide the cake batter between the two prepared cake pans. 7 / Bake until cake is golden brown and a tester inserted into the center comes out clean, 35 to 40 minutes. Transfer to a wire rack, and cool for 15 minutes. Remove from pan, leaving the cake bottom-side up. Let cool completely. 1 / In a medium saucepan, combine milk and ¼ cup sugar over medium heat, and bring to a simmer. 2 / In a medium bowl, whisk egg yolks and remaining sugar until well combined. 3 / Whisk in vanilla, salt and cornstarch, 1 tbsp. at a time, until fully incorporated. 4 / While whisking egg mixture constantly, slowly add 1 cup of the heated milk to the egg mixture. 5 / Strain this mixture into milk remaining in saucepan. Continue cooking over medium heat, whisking constantly, until mixture comes to a full boil, 4 to 6 minutes. 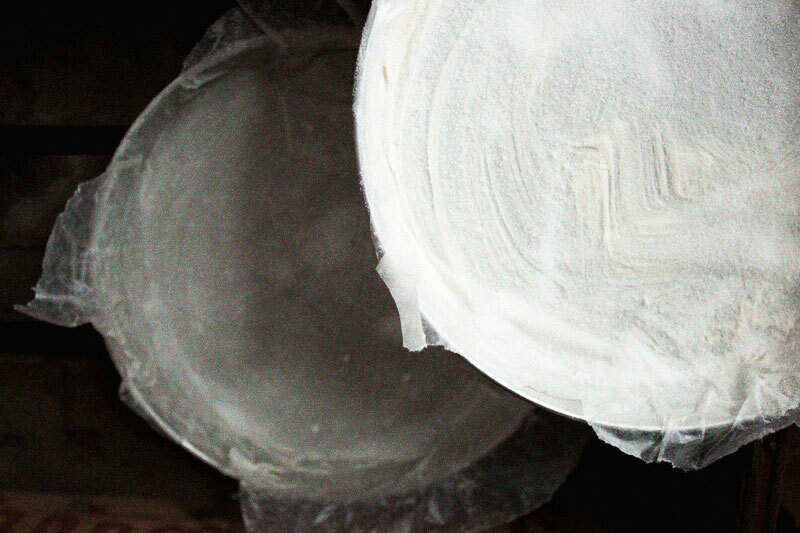 6 / Transfer to a medium bowl, and cover with plastic wrap, pressing wrap against the filling to prevent a skin from forming. Refrigerate until at least 3 hours and up to overnight. 1 / In a small saucepan over medium heat, bring heavy cream to a boil. 2 / Place chocolate in a medium bowl, and pour cream over chocolate, stirring until chocolate is melted and well combined. Set aside to cool slightly, about 10 minutes. 1 / Remove pastry cream from refrigerator. Beat with a stiff whisk until cream is smooth. 2 / Spread one of the cakes with the pastry cream filling. 3 / Top the pastry cream with other cake, like a sandwich! 4 / Pour glaze over center of cake, allowing it to spread, covering top and dripping down the sides. Chill cake for 20 minutes before serving. TA DA! HAPPY BIRTHDAY AMY! I made this adorable bunting flags out of bakers twine, chop sticks and some cut outs. Download the file here to create your own HAPPY BIRTHDAY banner, or click the image below. Look below to see what she looks like, SO CUTE! So, there you have it, a special cake for a special gal. She loved it, it was pretty darn fantastic (if I do say so myself). I wonder what kind of special cake they are going to get me for my birthday!